The evolution of open source Web GIS technology in integration with contemporary commercial solutions not only provides an immediate solution at every level of small and medium-sized industry, but has also attracted students/scholars from a diverse background (computer science, information technology, electronics, civil engineering, geography, geomatics, earth sciences, hydrology, etc.) who are interested in growing their careers in different government (ISRO, DRDO, NIC, State Disaster Mitigation Centers, State Remote Sensing Centers etc) and private organizations (ESRI, Hexagon, Wipro, TCS etc). Concepts and Application of Web GIS emphasizes both the basic principles and practical application of Web GIS technology for estimating the developments and advances about the use of both the commercial and open source Web GIS technology. It starts with describing the evolution of Web GIS technology, depicts its important uses/applications in conjunction with remote sensing & GIS. It then discusses the role of Web GIS technology in current smart city services and E-governance solutions, and guides new developers to establish a complete Web GIS solution for their respective problems. 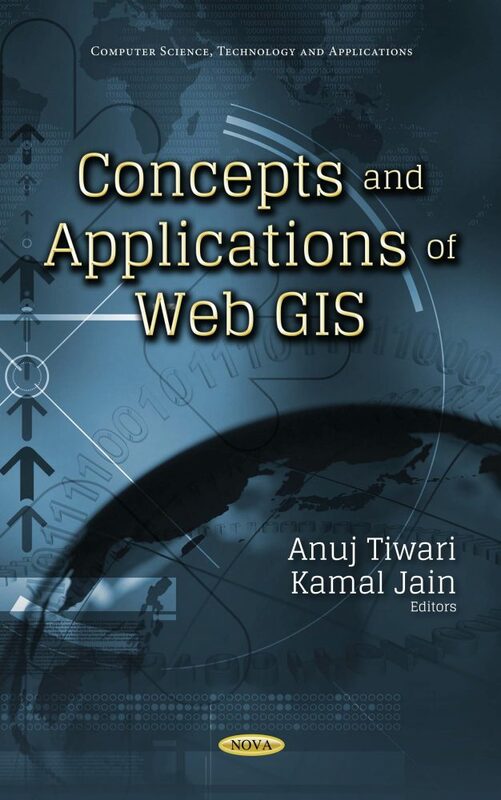 Overall, this book is a comprehensive solution for the academic, commercial and planning communities, which fills a long felt gap in the field of geoinformatics and the Web GIS community. The chapters are written by active researchers and are presented in an accessible way to the public beyond those who are specialists in the topics previously mentioned. Besides these topics, this book will prove as a valuable reference book for graduation as well as post-graduation students to cover the syllabi related to technologies for GIS and Web GIS studies.